The contest rules were extremely restrictive. Games were all 8 Kb long! Original results by the only juror of this edition, Néstor Soriano, can be checked here. 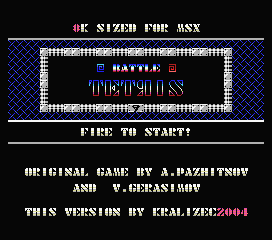 Format: MSX 8 Kb ROMAn extended version (including the battle 2 players mode) has been released in 2005 and is available on Kralizec website. 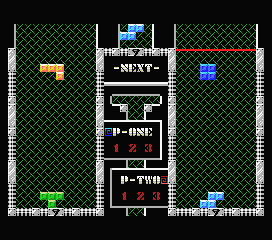 Format: MSX 8 Kb ROMAn extended version (including the 1 player mode) has been released in 2005 and is available on Kralizec website. The goal of this competition is to promote the creation of new games for the MSX computer system, because nowadays the MSX scene is focused on MSX2 and higher computers, and the MSX1, the first generation, has been completly forgotten. 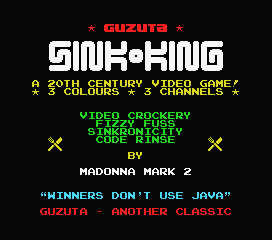 This is a new chance to join efforts and produce a new generation of games for the original MSX. 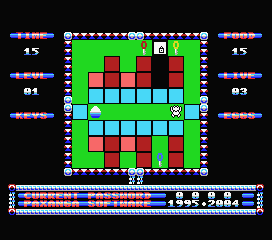 Please keep in mind that the most popular MSX games were developed for the MSX1 computers: Nemesis saga. 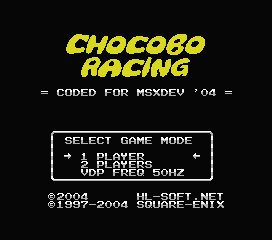 It is obvious that it is easier to code for the MSX2 computer, because its graphic capabilities are comparatively awesome. Would you accept the challenge of creating mini-games? 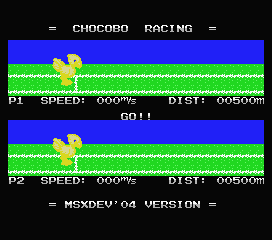 To make the things more interesting, all the games should be 8 KB sized ROMs and they should work on the lowest MSX configuration: first generation MSX, with 16 KB of RAM, 16 KB of VRAM, and PSG sound only. 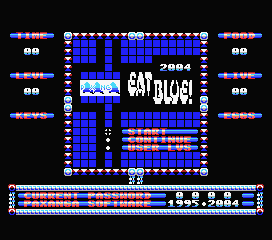 If you think that these requirements are tough, please consider that all the initial MSX games were like this: Konami’s first games were all 8 KB ROMs, as well as HAL Laboraty’s productions and some NAMCOT and ASCII games. Games can be submited and published before the end of the contest. Test versions are allowed, of course, but they should indicate clearly its alpha or beta state. Please do not spread unconcluded games by your own: all the games should be distributed from this site. 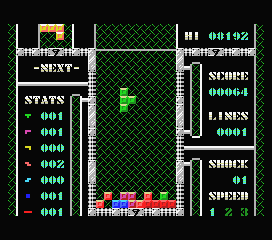 In addition, all contestants accept that all games are freeware. 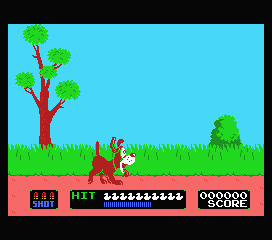 No money for MSX games! Every project should be send to the organization before 31st July 2004. 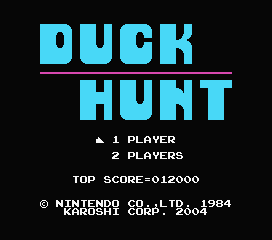 It has to include the game in ROM format, a document in english with the full instructions and it is optional to include a game cover and cartridge sticker. This time, to avoid some of the problems of MSXdev’03, the organization of MSXdev’04 has decided to select only one judge: Néstor Soriano, a.k.a. Konami Man. His reputation in the MSX community is excellent and he is one of the best MSX programmers around. He will do his best to evaluate all the participating games. His decision will determine the results of MSXdev’04. The prize list is open: you can donate what you want, just to make the compo more interesting. 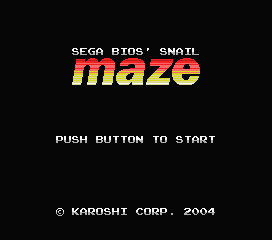 Solidarize with MSX programmers! Learn more about the sponsorship system. Please check out the status page to know how many projects are currently in development and the full list of prizes donated to the MSXdev’04 competition. 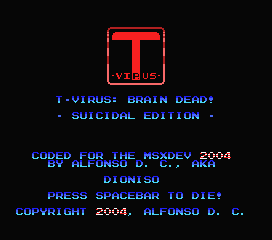 If you are one of the MSXdev’03 sponsors and you want to retire your donation, please contact here. 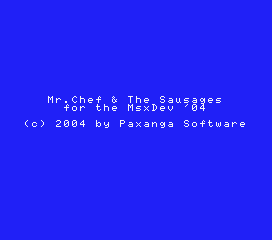 If not, the donation will be included in the MSXdev’04 prize list. 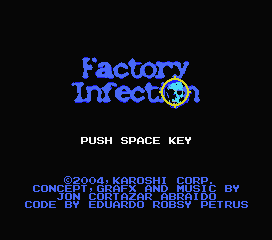 Eduardo Robsy Petrus, Karoshi Corp. (Spain) – donates 50 euros if there are less than 25 valid entries. If there are 25 or more valid entries [Néstor decides], a Panasonic FS-A1 GT Turbo-R japanese computer. Philip Pera, MSX Games Box (Belgium) – donates a T-shirt with special MSX artwork. The Call MSX Staff (Spain) – donates two copies of Call MSX #2 magazine. 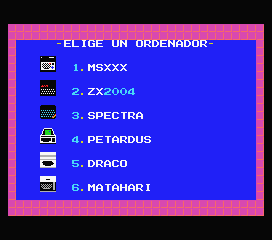 Julio Gracia París mesiasmsx, Moai-Tech (Spain) – donates Chaos Angels MSX2 original game by ASCII. Arnau Castellví NapalMSX, Zona Neutra (Spain) – donates 40 euros. Un juego que siendo simple, es rápido y adictivo. Y además, de impecable factura técnica. 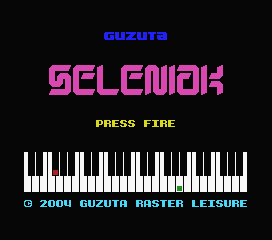 Translation: A simple game but fast and addictive. Besides, the technical quality is impeccable. Un clásico de toda la vida, revivido con maestría. Recomendable especialmente la versión de dos jugadores. Translation: An eternal classical game, revisited with talent. 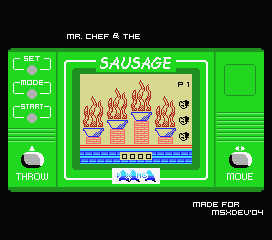 The version 2 players is especially recommended. Otro entretenido juego que puede llegar a engancharte fácilmente si no te andas con cuidado. ¡Qué rabia cuando te quedas sin energía a un paso de la salida! Translation: Another entertaining game to which you can easily become hooked if you are not careful. You are very angry when you run out of energy not very far from the exit! 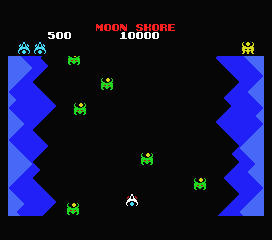 Este juego parece fácil, pero el coger determinados objetos sin que se te venga encima una avalancha de piedras tiene su intríngulis. Muy entretenido. Translation: This game seems easy, but taking certain items while avoiding an avalanche of stones is complicated. Very entertaining. Otro clásico correctamente conversionado que puede proporcionar entretenimiento para un buen rato. ¿Quién ha puesto ahí esa pared? Translation: Another classical game correctly converted and that will provide entertainment for some time. Who has put that wall there? ¿Los enemigos que no matas restan energía? 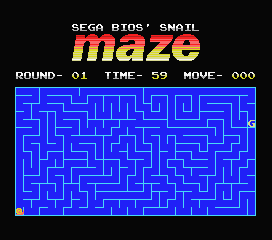 Interesante mezcla de matamarcianos y Arkanoid. Translation: The enemies don’t kill the remaining energy? 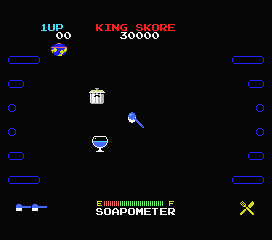 Interesting mix of shooters and Arkanoid. 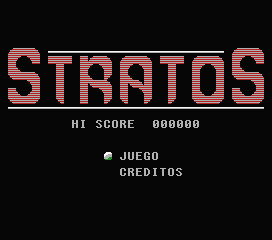 Aquí tenemos algo muy original con sabor a juego de cinta de los primeros 80. Sólo le faltan opciones como “Iniciar revival” o “Organizar Ru”. 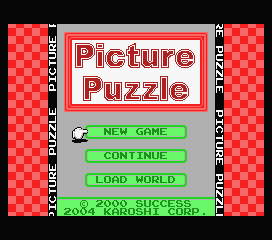 Translation: Here we have something original with the spirit of a game on tape at the beginning of the eighties . Only some choices like “Start Revival” or “Organize Fair” are missing. Perfecto para rescatar la pistola que tenías cogiendo polvo en el armario. Divertido, pero lástima que se hace un poco repetitivo. Translation: Perfect for rescuing the gun collecting dust in the cupboard. Funny, but alas it becomes a little repetitive. Juego ideal para mentes matemáticas. Al resto de la humanidad puede llegar a costarnos un poco cogerle el truco; aún así, la idea es buena. 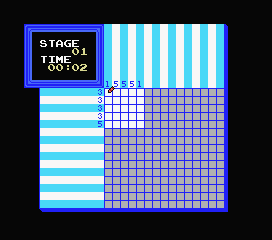 Translation: Ideal game for mathematical minds. The rest of humanity will only be interested a little, but the idea is good. Muy curioso, se parece a aquellos juegos que se incluían con las revistas de hace un par de décadas. Apropiado para los viciosillos de los juegos de azar. Go for the PUNKTE! Translation: Very curious, it looks like the games that came with the magazines a couple of decades ago. Good for fans of chance games. Go for the PUNKTE! Lo mejor de este juego es la idea y los gráficos, es un juego bastante simpático. Lástima que al haber sólo una pantalla, cansa un poco pronto. Translation: The best thing about this game is the idea and the graphics, it is a pretty nice game. Alas, there is only one screen, it’s boring after a little time. Hum… un juego un poco… raro. Apropiado para nostálgicos del Decathlon y otros machaca-teclados, aunque se pasa un poco de simple. Translation: Hum … a game a little … rare. Suitable for nostalgics of Decathlon and other mechanical keyboards, but it is a little simple. Un juego aún más raro, aunque la idea de imitar una LCD es original. Le falta poder coger el monitor con las dos manos y pulsar los botones de la pantalla con los dedos. 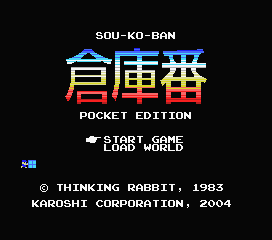 Translation: A even more rare game , although the idea is to imitate an original LCD. We need to pick up the monitor with both hands and press the screen buttons with the fingers.